A Reader Survey…and a Summer Break! Welcome to Design Improvised’s first ever reader survey! After blogging for 5 years, I would say it is about time! It’s one of those things I’ve been wanting do to do for ages, but have never found the time to make it happen. However, I’ve been lucky enough to work with an awesome intern this summer who has helped me tackle many of the things on my to do list. 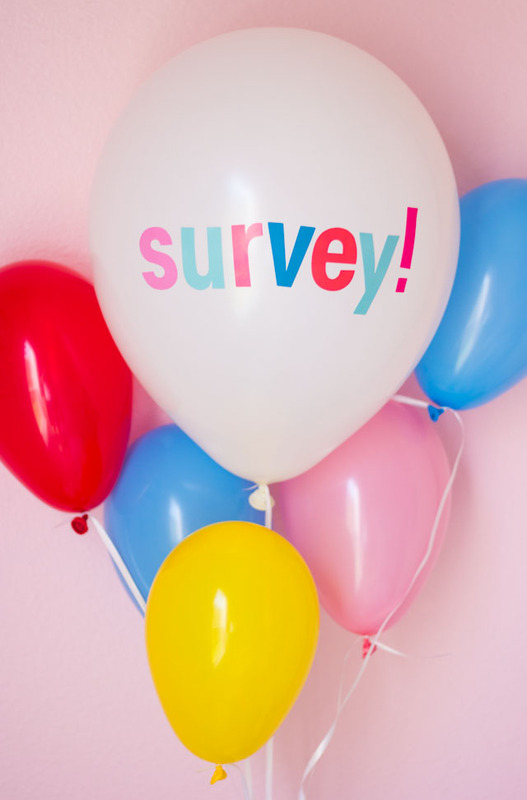 A big thanks to Allysha Davis for making this survey a reality! Now, I would LOVE to hear from you! Whether this is your first time on Design Improvised or you’ve been reading the blog for years, just head to the next page to answer the five minute survey. Read on for the survey…and some summer break news! All responses are anonymous unless you choose to provide your email address to enter the giveaway. If you have difficulty viewing the survey below, CLICK THIS LINK instead to complete the survey. Loading… Thank you so much for responding to my survey! Respond by July 31st for a chance to win a $50 Amazon gift card and a box of crafting goodies. Winner will be chosen at random and be notified by email. The giveaway is now closed. Congrats to Tana H. for winning! While I anxiously await your response, I’m going to be slowing things down on the blog for the next month to take my annual summer break! Every July I take some time off from the blog to spend time with my family and recharge my creative batteries. I’ve found it is one of the best things I can do to get inspired for the rest of the year, dream up new ideas, and clean up my messy craft room! I hope you’ve found some quiet time for yourself this summer too. Enjoy what’s left of it, and I’ll be back in 4 weeks with lots of new projects!